Genesis is a full-time wife and mom, who joined the work-from-home bandwagon in 2013. I haven't been active here for quite sometime. 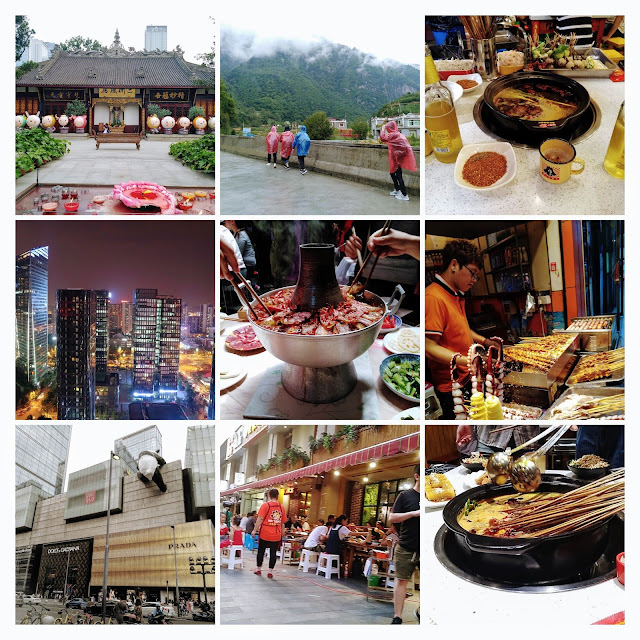 After my very first visit in China in January 2018, as much as I'd like to document every single place we went to, and every food we ate in China, I didn't have much time. We went back there in July and September (yeah, I didn't expect I'd come back so soon), and I've accumulated a whole new bunch of pictures (some videos, too). Alright, as promised in my previous post about my recent China travel, I'll be uploading photos. There's a lot, like seriously a lot more than my first visit, I've picked a few snaps and made it into a collage instead. By the way, that's only a very small part of Chengdu, and there's a lot more buildings that are even fancier. I wish it's that easy to go around the city while taking a video haha. But, I think it gives you, at least, a glimpse of how the city looks like at night. It was such a nice experience knowing (and living in) China on a deeper level.